Storming as a revolution across the world, Constitute is a repository of all the constitutions of the world, with attractive search and comparison options. Run by the Comparative Constitutions Project, and funded by Google Ideas and the Indigo Trust, a British charity that funds tech projects mainly in Africa, Constitute was founded in 2013 and redesigned in December. It provides the option of comparing phrasing and ideas across Constitutions, highlighting similarities between documents. 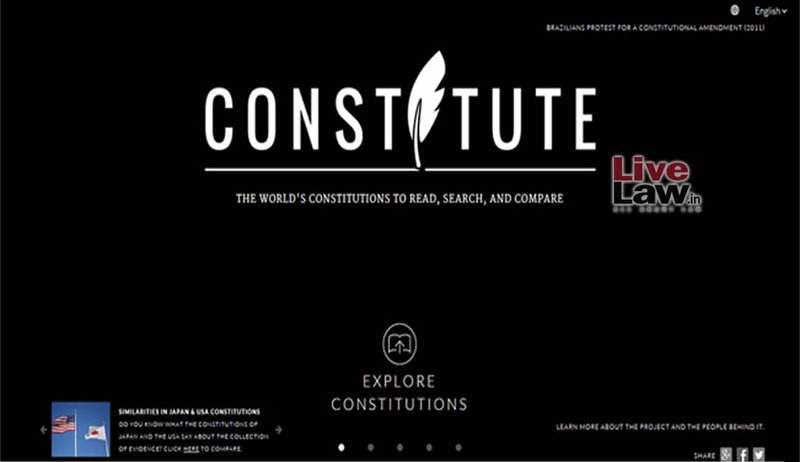 Zachary Elkins, the director of Constitute, was quoted as saying that Constitute has a “pretty wide use, geographically.” According to him, constitutional drafters in Lybia, Myanmar, and Nepal have all used the site. It’s also a useful tool for those just looking to learn more about how Governments are legally organized. The documents can be searched entirely, with an option to search for common phrases or to choose from a list of topics such as “equality regardless of gender” or the “right to bear arms” or search for common phrases. The Constitutions have been translated to English while a few have been translated to Arabic for the site. Arabic Constitute was developed in partnership with International IDEA, which provided significant intellectual and material support. Further, Constitute can also be used to create new Constitutions, utilizing Google docs, hence enabling multiple people to use it at once. A user can select a part of a constitution, or parts from multiple countries’ constitutions, and then export them into a Google Doc. You may have a look at the website here.